Is Football More About Money than Game in this Town? 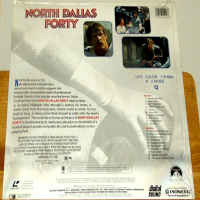 North Dallas Forty 1979 - 119 min. 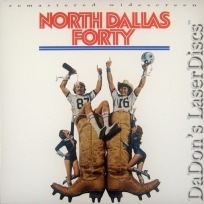 - Color Genre: Comedy Rated R Country: USA LaserDisc Movie Review: In a society in which major league sporting events have replaced Sunday worship as the religion of choice, North Dallas Forty appears like a desecration at the altar. 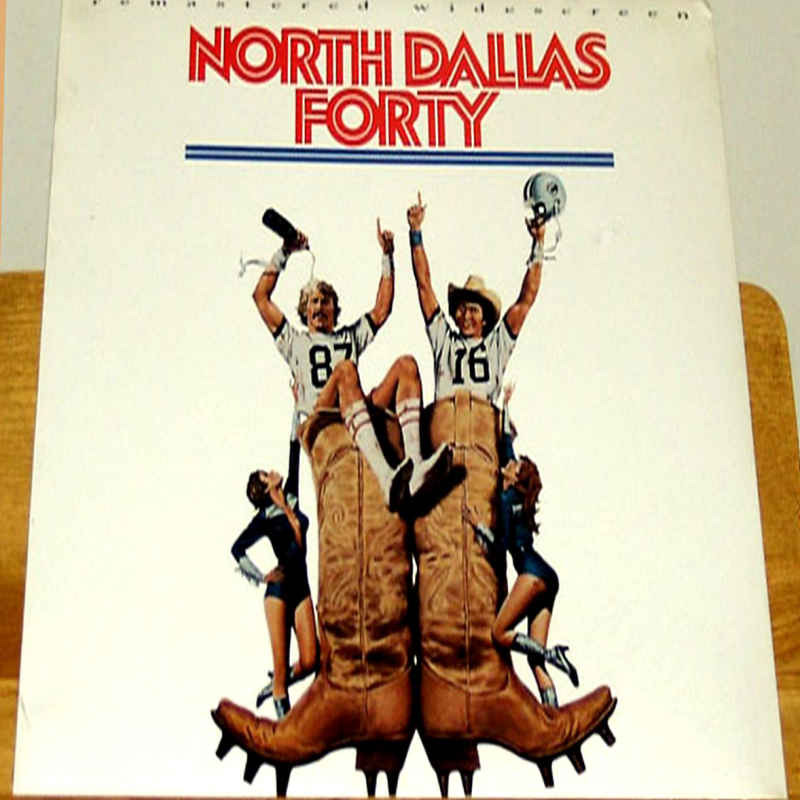 In this film, directed by Ted Kotcheff (The Apprenticeship of Duddy Kravitz), the National Football League is revealed to be more about the money than the game. Nick Nolte is North Dallas Bulls pass-catcher Phillip Elliott, whose cynicism and independent spirit is looked upon as troublesome by team coaches Johnson (Charles Durning) and Strothers (G.D. Spradlin) and team owner Conrad Hunter (Steve Forrest). Elliot, at the end of his career and wise to the way players are bought and sold like cattle, goes through the games pumped up on painkillers conveniently provided by the management. 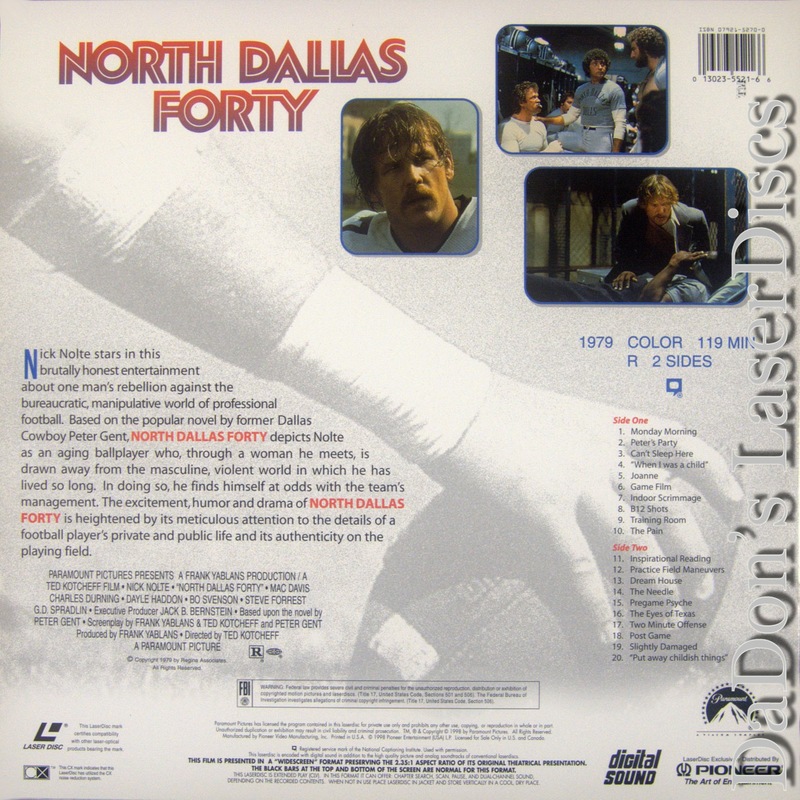 His teammates include savvy quarterback Maxwell (Mac Davis) and lunk-headed defensive lineman Jo Bob Priddy (Bo Svenson), who deal with the impersonality and back-biting of the game through off-field diversions. When the Bulls management benches Elliot after manipulating him to help train a fellow teammate, Elliot has to decide whether there is more to life than the game that he loves. 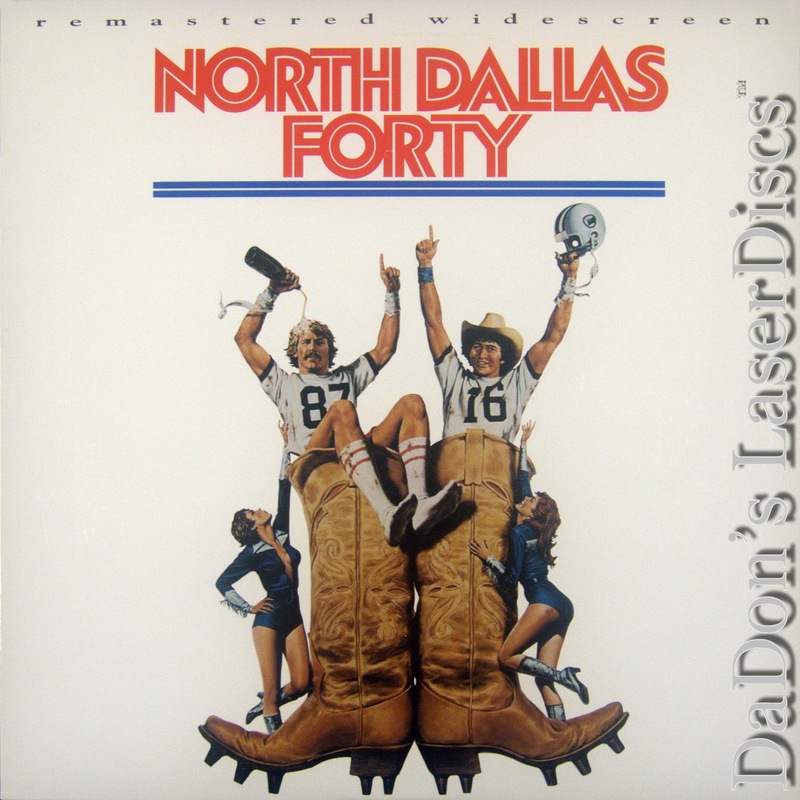 --- Paul Brenner North Dallas Forty cynically revealed the underbelly of professional football, examining the fallout when the attitudes and drugs of the early-1970s counter-culture meet the greedy and violent world of the NFL. Nick Nolte is perfect as the complicit but not totally amoral wide receiver with an out-of-order body. 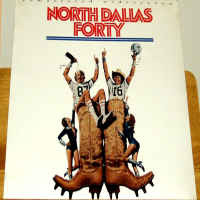 Country singer Mac Davis also turned in a fine debut performance as the slick quarterback with too much to lose. With Dallas and his previous film, Who'll Stop the Rain, Nolte gained acclaim for his portrayals of tough but troubled heroes. Director Ted Kotcheff had a moderate string of hits in the 1970s, including The Apprenticeship of Duddy Kravitz. --- Brendon Hanley Thanks for Visiting DaDon's Rare LaserDiscs ! Reviews, Articles, Newsletter and Information for Movies on LaserDisc LD Laser Disc, LazerDisc.